© 2018, Francisco Esquembre; Felix J. García-Clemente; lookang. 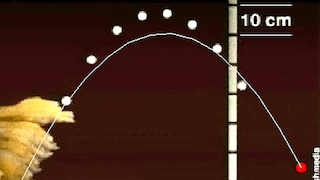 This simulation illustrates the parabolic trajectory of a thrown ball. 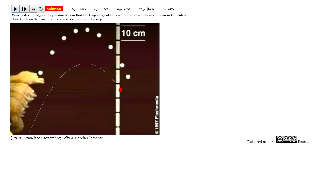 The goal of the simulation is to match the trajectory of the ball with the given trajectory in the video.